NMPi’s Performance Display Channel Manager, Anna Jorysz, took to the stage at our latest seminar to talk about how to take a measured approach to your data integration. 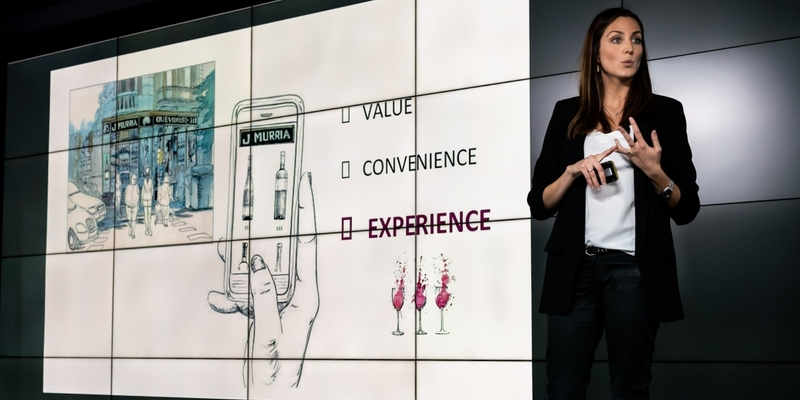 Anna will be the first to tell you that innovation is integral to creating an attention-grabbing display campaign, but it has to have a point and it has to make gains. There is no point to being seduced by an exciting idea if it doesn’t work, or even worse if you have no way of knowing if it works or not. This is a concept that Anna lives and breathes because through our pure-performance model NMPi pays for the advertising spend and we only make money when we drive results. In other words, it can’t just look good, it needs to be effective and efficient. This also applies to integrating data into your campaigns. When it comes to your digital campaigns there are two main areas where you integrate data: (1) Creative and Messaging – personalisation efforts, dynamic ads, and the integration of live data into campaigns, and (2) Buying and Targeting – using data to shape bidding strategies and audience segmentation. Why will data help you to achieve this? How will you continue to optimise further? Make sure to watch Anna’s video to learn more about how she uses data in her award-winning campaign for Liverpool FC. And while you’re doing all that don’t forget to be creative – being data-driven should never come at the expense of big ideas. Laura Penhaul was the keynote at NMPi’s recent seminar, where she talked about her experience as Team Leader for the Coxless Crew as they rowed across the Pacific Ocean, setting 2 world records in the process. “When there is an element of choice,” she began, “we and society as a whole will choose the path of least resistance;” the easy route, the less risky route, the less energy-consuming so as to allow room for all the other factors in life. But what if we get comfortable with stepping into the unknown? It was only by tackling the largest ocean in the world that Laura was able to understand how to cope with the unknown, and what we draw upon when we want to give up. Adaptability is a quality that is, in fact, innate in all humans; it’s a part of our physiology. Our immune system, the way we grow, how we remodel from injury, how we acclimatise to altitude or heat, it’s all process of adaption. When we don’t give ourselves a choice, we naturally adapt to our new life path. While working with Paralympic athletes, Laura saw this adaption every day. Jacko Van Gaas, injured in the war, awoke and felt lucky to be alive. He has gone on to be a British Paralympic cyclist & part of the first ever adaptive team to climb the 7 highest peaks in the world and 2 poles – he chose to make the most of his abilities. “Why do we wait to be faced with significant adversity before we realise our abilities?” questions Laura. What better way to understand this mindset than by doing something completely unknown – and that’s when Laura decided to row an ocean. Starting in San Francisco, she and 3 other women headed out into the expanse of the largest ocean in the world with no support, no get-out clause, and no safety boat in sight. “The term ‘go with the flow’ soon became a way of life out there, because that’s all we could do,” states Laura. They had to draw on adaptive behaviours to take on the challenge and constantly evolve through the journey, learning as they went and understanding there is no failure if we reflect and learn from it. We all have our own Pacific to cross – whether literal or figurative. Not everything will play out exactly as written in the guidebook. Allowing yourself to control the controllable and adapt to the rest, we can minimise that threat of the unknown and stop ourselves from wanting to give up. The fashion industry of late has gone through a shocking realisation. The realisation that it is, unfortunately, a dirty business. Statistically, it is one of the top polluters in the world: a survey from Sainsbury’s last year showed that 235m items ended up in a landfill as people switched to their summer wardrobe. The average piece of clothing in the UK lasts for less than 3 years before being discarded, with over 1m tonnes of new clothing being bought last year. We are constantly consuming stuff, and constantly throwing it away. At NMPi’s latest seminar, Rob Herdman, Senior Global Manager – PR & Media for Napapijri, took to the stage to explain how they realised that they had a responsibility to change. The Italian fashion brand has an internal philosophy to address sustainability issues, which in turn frames a lot of their decision making. Called “Make it Better”, they focus on doing what they were doing slightly better year on year so they will eventually get to a point they can be happy with. Often, we try to act too quickly, and we can’t enact the change quick enough, or we end up doing things wrong. This way, Napapijri sets a goal for 3 years down the line and moves there step by step. So far, they’ve removed fur, down, a lot of the chemicals that were once present in their jackets; and the next stage is to tackle the issue of massive waste. The fashion industry fuels this, wanting consumers to continue to go out and purchase new clothing, to change their wardrobe every 6 months. The goal is now to go from Mass Production to Mass Customisation; shifting to an “on-demand” model where, rather than mass producing items to sell, products are only made when someone wants to buy it. This avoids all of the waste that comes when you don’t sell all of your stock. Napapijri changed the way they produced their clothing, moving to a technique called digital knitting which is very similar to 3D printing. Rather than stitching fabric together, you’re having a machine make a 3D model of the garment in one piece. This means they can cut out stages of the manufacturing process and thus reduce waste by up to 30%. But this is just the start. Moving forward, the brand wants to make the customer more responsible as well. They’re already looking at ways of encouraging customisation, to produce exactly what the customer wants, only when they want it. If they succeed, the fashion industry will be turned on its head. Many assume that when we talk about the origins of audio ads we’re referring to radio ads, but actually back in the 1890s there was a telephone newspaper that would transmit news and entertainment over telephone lines, and brands could pay for a short audio spot to reach those listeners. As other channels grew, respect for audio shrank until it appeared to fade into obscurity. Consider video advertising, particularly on social, where it has become common practise for videos to have subtitles as it is assumed that no-one is listening to the sound anyway. According to Andrew Henry, VP, Director of Client Services at Joystick, Audio is very different. It represents an intimate space where brands can connect with users unlike ever before. There are 660,000 podcasts currently in production, and Adobe recently reported that most consumers listen to at least 1-5 hours of music or podcasts a week. This is no longer a passive experience. Voice assistant devices are one of the biggest reasons why audio has re-entered into the conversation, but more than that audio is everywhere. We consume it constantly: in your home, your car, during your commute or even at the gym. As with all channels, understanding your audience is crucial: personalisation is shown to have a higher engagement rate across all mediums. On top of this, understand the platform you’re working with, be that podcast or music streaming services. Consumption patterns and user context will affect how your ad is received. Keep the placements short and sweet, with a clear call to action and repeating the brand name 2-3 times. This will help your ads have a higher recall rate. Consider the full story of the ad by balancing voiceovers, music and other sound effects. 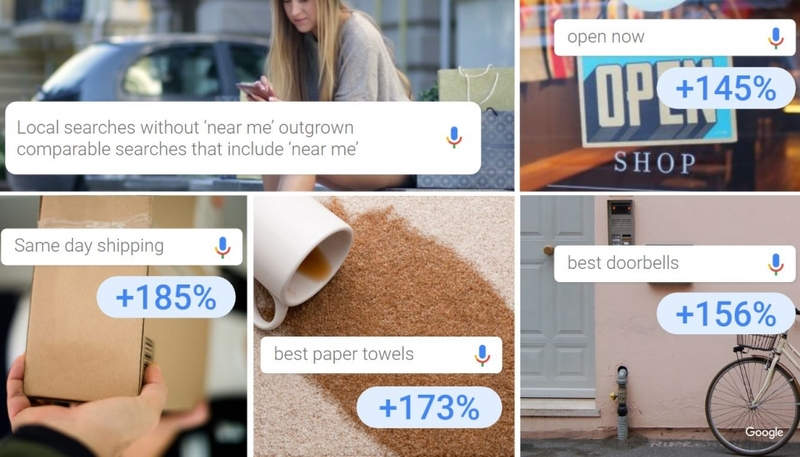 There is an oft-quoted statistic that 30% of searches will be done without a screen by 2020 – but what will that look like? “At its core, voice allows consumers to be more efficient in their day to day, as well as more present in their lives,” states Andrew. 36% of voice-activated speakers say that the main reason for using the device is that it enables them to do things faster, while 69% of users say they use the device while doing other things. Audio has come full circle, and now offers hugely innovative ad placements ripe for the taking. It is an understatement to say that digital and technology is central to our lives – and this gives us access to unparalleled amounts of information. The problem with this, states Abigail, Head of Retail at Google Marketing Platform, is that it ends up giving us far too much choice. We crave the freedom to choose, up to a point. Give us too many options and making a decision becomes mentally fatiguing. Humans have adapted to a point: our brains will seek ways of avoiding that mental strain. “It’s hardly surprising that many of the apps and technologies that have become mainstays of public consciousness are those that help us cut back the scale of choice,” comments Abigail. Consider those personal curation services like Netflix and Spotify, which use our previous choices to make informed suggestions about similar things we might enjoy. There are also devices and apps that can speed up and simplify payments, or even remove elements of choice altogether, for example, Uber. We love those services which make our lives easier, and they have become the new norm. Curation was a key element of the promise and proposition of retail, along with price, assortment, and convenience. This refers to things like organising a range of options in a category, leaning on a trusted brand, and giving customers the confidence that they’re being delivered the most relevant options to choose from. However, in the digital world where we have unlimited visibility over products, services and information, we are now seeing consumers finding their own ways of cutting through the noise and curating for themselves. The problem lies in the amount of work that the consumer still has to do. They are empowered by being able to handle it all themselves, but there are still a lot of choices – they still need help from brands and retailers. Interestingly enough, around 80% of the UK population is buying online while £8 of every £10 is spent in physical stores – this despite countless headlines telling us that the high street is dying. So, what is going on? Well, the problem might be that we still haven’t managed to nail customer experiences online. Google calls this the “Age of Assistance”: building a much more integrated and intuitive experience, expecting that this will gradually become much more predictive. How can you apply this across your business? The first step is to accelerate by bringing data into the heart of your business. Next is connect by being present wherever your customer wants to engage. Finally, drive action by delivering amazing assistive experiences. Over the past few months, there is one word that keeps cropping up throughout blogs and industry news: in-housing. It’s a word that comes with promises to transform your ways of working and the quality of your marketing overall. Nevertheless, the conversations are full of contradictions, with mixed reports of the success that in-housing can bring, and agencies fighting their corner. At our latest NMPignite Seminar, DQ&A’s Leo McIntosh set out to work through the fog and show us how in-housing really works. People: Upskilling and evolving team infrastructure to execute best-in-class marketing and set foundations for success. Technology: In-housing technology that can be used to improve your media performance. Data: Understanding how data can supercharge your marketing and integrating business data to improve performance through insight. Strategy: Collaboration on achieving and exceeding business objectives through insights from all available resources. If you’re wanting to roll out in-housing within your business, Leo offers a clear and actionable model to start you off. Begin in the Discover phase, using an actionable audit to establish a clear and objective picture of your business’s goals. Next, Design a blueprint of a fitting solution to successfully achieve the project goal. Then, you’ll need to Deploy expert implementation of the blueprint across technology, people, media and creative. Finally, in order to continue to Develop, establish an innovation roadmap to drive deeper digital marketing success. Don’t be overwhelmed, just be excited! According to Naomi López, Head of CX Strategic Programmes at BT TV & BT Sport, disruption has become the new black, particularly in industries like retail. Newer business models from the likes of Lush, the Disney Store and Dominos have granted them huge successes in a very short space of time, while older and more traditional businesses have suffered. During NMPi’s latest seminar, Naomi talked about the fact that, since 2013, 1 in 5 shops in the UK have closed. With the rise of e-commerce and online-only stores, many brick and mortar stores haven’t been able to keep up. The ones who have survived are the ones who have embraced digital transformation. Consumers are looking for personal experiences now: they’re busy and they don’t have time to go into a huge store to look for the one perfect gift. This is the model that saw the downfall of Toys’R’Us. Looking back at the stores that have closed, there is an overwhelming trend in their replacements. Sitting in their place are hair salons, nail salons, beauty salons and so on. The consumer is clearly indicating what they value: tangible experiences. Naomi asks us to consider an online wine store: e-commerce, but with real-time service. As you search for the perfect wine to match your meal, an assistant from the store pops up to advise you on the best products to buy, ultimately, helping you find that perfect Pinot Grigio for your creamy salmon pasta. This provides value for the customer, is incredibly convenient, and is an overwhelmingly positive experience – likely to increase loyalty and even reduce costs for the business as a whole. All in all? A win-win situation. With huge amounts of data available to businesses, retailers can now predict when customers will change their behaviours, thus allowing them to adapt accordingly and communicate much more effectively. Problems can be identified much easier, and employees are empowered by heaps of information, which means they can better help when the situation arises – once again providing a tangible experience. Remember though – while computers can think, learn, process and adapt to much of the data available at a faster rate than humans, they don’t have the imagination, creativity and emotion to bring it to life. It was our display campaigns with Liverpool FC that helped us take home the gold for Best Use of Data. By bringing together our creative and media teams, we were able to easily share our insights to shape creative decisions which integrated data into the functionality of the banners themselves. We’re very proud of our work on this campaign, and the good news doesn’t stop there! Our work with Liverpool FC is on the Programmatic shortlist at the Drum Marketing Awards, as well as our work with Superdrug Online Doctor which is up in the Health category. This puts us up to 9 shortlisted campaigns this year, and we are really excited for the months to come. 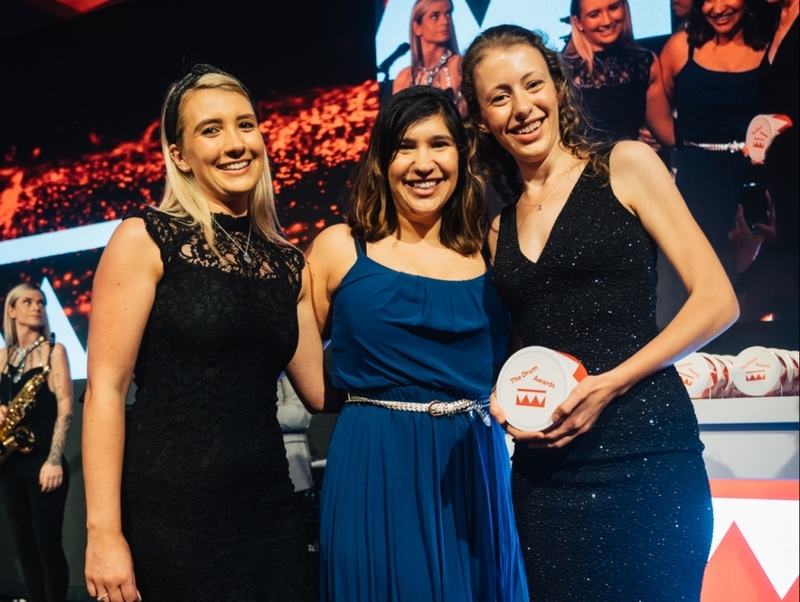 The 2019 award season has well and truly kicked off this week as both the Performance Marketing Awards (PMAs) and the Drum Search Awards released their shortlists. We’re delighted to say that we have been tipped in both of these highly prestigious awards. The PMAs is now in its 13th year and aims to highlight the industry’s best and brightest within the performance marketing sector. With categories across the industry, from content and influencer marketing to PPC and programmatic, to verticle specific awards, the PMAs is a virtual “who’s who” in marketing. Best Paid Search Campaign – NMPi & Superdrug Online Doctor: The Only Way is Up. Best Use of Programmatic – Liverpool FC & NMPi in partnership with Webgains. Most Creative Performance Marketing Campaign – Liverpool FC & NMPi in partnership with Webgains. The Drum Search Awards focuses on the outstanding PPC and SEO campaigns within the industry. It seeks to celebrate the individuals and companies at the forefront of Search innovation. Best Health Campaign – NMPi & Superdrug Online Doctor: The Only Way is Up. Most Effective Use of Paid Search as part of a Programmatic Strategy – NMPi & Pets Best Insurance: Doing What’s Best for Pets Best Insurance. We are immensely proud of the work our teams have put in over the year, and we’re looking forward to the award ceremonies in April.